As per the SC guidelines, the state government was supposed to send a list of the eligible officers to the UPSC who could be appointed state DGP. K P Singh is DG, Haryana Human Rights Commission. The Haryana government Friday appointed 1985-batch IPS officer K P Singh as officiating Director General of Police (DGP), a day after BS Sandhu retired from the post and two days after the Union Public Service Commission (UPSC) pointed out “flaws” in the panel of IPS officers the state had sent for selecting state’s next police chief and returned it. KP Singh, who is DG Haryana Human Rights Commission, will continue to officiate as the Haryana police chief “till the finalisation of the ongoing process of regular appointment to the post as per guidelines of the Supreme Court”, as per an official statement issued by additional chief secretary (home) SS Prasad. As per the SC guidelines, the state government was supposed to send a list of the eligible officers to the UPSC who could be appointed state DGP. The state government had sent a list of nine IPS officers to the UPSC for its consideration. 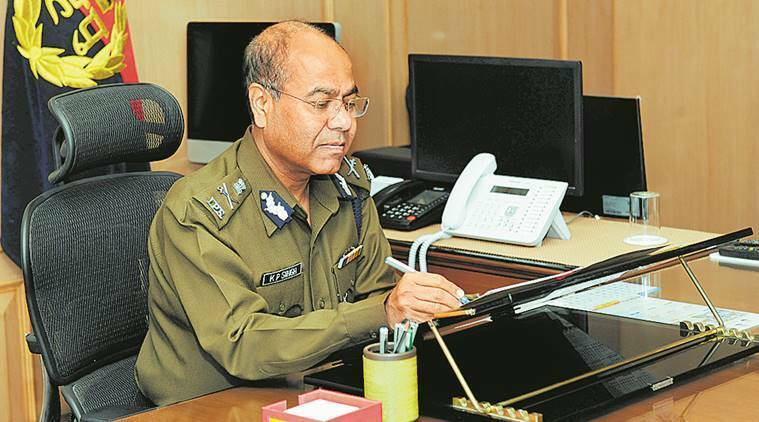 Apart from KP Singh, senior IPS officers SS Deswal, K Selvaraj, KK Mishra, PR Deo, PK Aggarwal, Manoj Yadava, KK Sindhu and BK Sinha are being considered the front-runners for the coveted post. The UPSC had, however, termed the procedure as “incomplete” because annual confidential reports (ACRs) of few officers were not enclosed with the documents sent to it, said official sources. An official said that the state government had not received the ACRs of few officers from the central government that’s why the same were not enclosed with the documents. However, on Friday, the state government forwarded the ACRs of the officers to the UPSC. “Everything has been settled now,” said a senior officer of the state government. Sources said that the state government had sought the consent of senior IPS officers SS Deswal and Manoj Yadava, who are currently on central deputation, to include their name in the panel to be considered by the UPSC. Yadava has sent his consent to the state government, said officials, adding they were still waiting for Deswal’s consent. Now, a meeting of the UPSC is likely to be convened soon to shortlist a panel of three IPS officers. This panel will be sent to the state government, which will pick a name for the next DGP. The tenure of incumbent DGP B S Sandhu, who was scheduled to retire in September 2018 ended on January 31 after he was granted a three-month extension in service earlier. The Supreme Court had on January 16 dismissed the pleas of five states, including Haryana, seeking modification of its order issued last year on the selection and appointment of director generals of police (DGPs). The apex court last month was hearing applications of various state governments, including Haryana, seeking implementation of their local laws regarding the selection and appointment of DGPs. Meanwhile, Sandhu on Friday said that the government sanctioned as many as 7,049 posts of the policemen including six SPs and 61 DSPs during his tenure. “I got support of the government in every proposal made by the state police to strengthen the infrastructure and other developmental activities. In just two years, as many as 52 new police stations were set up,” said Sandhu while speaking to The Indian Express. According to Sandhu, Durga Shakti Rapid Action Force, ‘Mitra Kaksh’ in police stations, Women Reserve Battalion and sanction of 52 new police stations were some among the initiatives taken during his tenure. A Special Task Force (STF) of Haryana Police was also formed to deal with organized crimes during his tenure, added Sandhu.